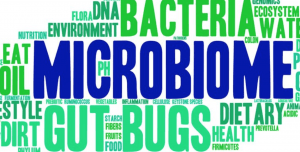 Microbiome: how does it affect our heart and mood? Chronic Lyme? Hello everyone! I just wrapped up a fantastic week at the latest SOPMED conference in Colorado Springs. It was wonderful as usual. I have been every year since it has started. Every year I learn great pearls. I’d highly recommend your doctor attends next year. Dr. Zach Bush, owner of Restore, gave an amazing talk on our microbiome. He is a wealth of information. Do you know that spirochetes (blamed for symptoms of chronic lyme) travel by themselves through our body? When we find them in tissue there is not an infectious process happening. They are not forming colonies or creating havoc in nearby tissue. So why are they there? Spirochetes sequester sulphur and we use carbon. Why do we have excess sulphur? Why are we putting patients on months to years of antibiotics? What if the spirochetes are trying to help us. You might want to look into the use of glyphosate and what trends that has created around the world. Was that connected to HIV? This appeared to emerge after glyphosate was dumped (tested) in South Africa. WHAT!?!? You can talk to me more at your next visit. I will also be posting some videos soon on our youtube channel and Facebook page. We need to put our dollars to work. Only buy organically grown vegetables. If you eat meat, ensure that it is raised ethically and without drugs. GMO’s foods need be labelled. Do you wonder why so many children have food allergies now? Do you wonder why fertility has dropped drastically? Have you looked at the maps of cancer rates and areas why glyphosate is highest in our environment? We can trace a lot of this back to round-up ready foods and the heavy exposure of glyphosate in our daily life. Patient Success Story: Weight loss!